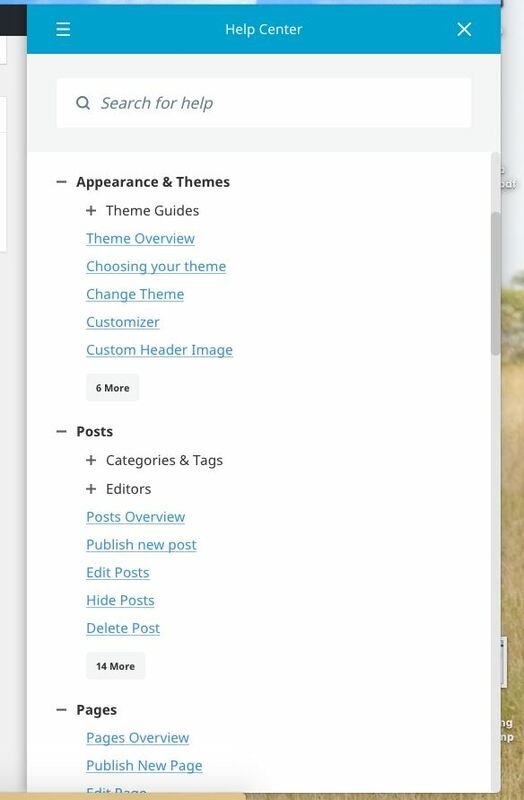 To get help with your WordPress site, from the Dashboard inside WordPress, simply click the "Help & Support" button in the lower right-hand corner. This opens the "Help Center" allows you to view related help topics or contact CampusPress directly for assistance, 24 hours a day, 7 days a week. This will open a ticket and CampusPress will contact you via email. There are also short support videos available that provide basic WordPress training to new users. See "Video Tutorials" in your left navigation menu after creating your first site.